As you are all aware, Mexico has suffered two earthquakes, not to mention the calamities throughout the United States. 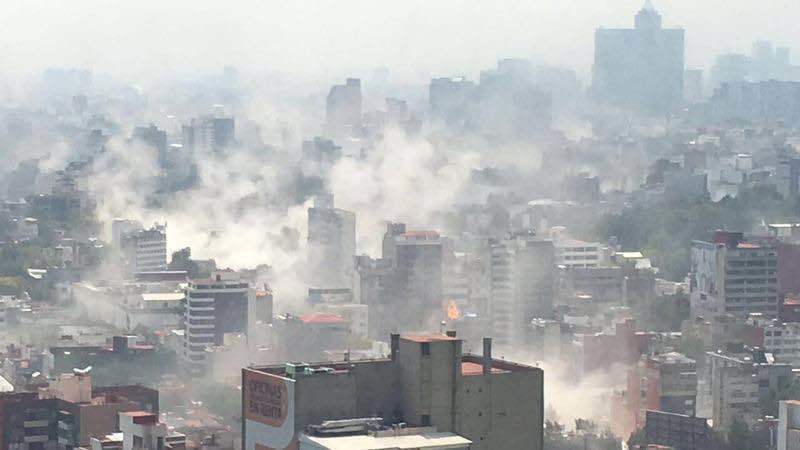 The second 7.1 earthquake that Mexico City suffered a few days ago has brought much damage and taken lives. Our monastery of the Holy Trinity has greatly suffered. Fortunately, the monastics are alive. Below are petitions to be added to the Litany of Fervent Supplication beginning the moment you receive this e-mail. Inform your parishioners of this grief instructing the faithful to daily pray for our monastics as well as for all who suffered in Mexico and throughout from the recent calamities. That Thou mightest change Thine anger to mercy, and have mercy upon those people who have suffered from the earthquake in Mexico, and who are now in difficult straits, we fervently pray to Thee, hearken and have mercy. That Thou mightest deliver them from the danger of the terrible earthquake, console the widows and orphans, restore the fallen dwellings, grant peace and tranquility, and send down Thy rich mercy, we pray Thee, O Source of Mercy, hearken and have mercy. That Thou mightest deliver all of us, who have angered Thy long-suffering by our evil deeds, from the danger of fearful earthquakes, and give not Thine inheritance over to destruction, with compunction of heart, we pray to Thee, hearken and have mercy.